As we celebrate the 25th anniversary of the concert that made The Three Tenors famous, here are some iconic photos from their glorious career. 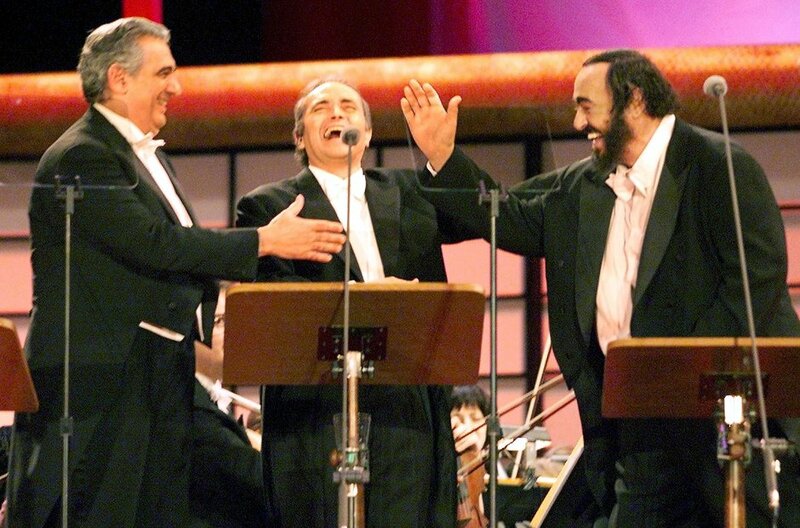 Three Tenors share a light moment during rehearsals for another World Cup performance in France in 1998. Their legendary concert at the Roman Baths of Caracalla, their first ever public performance together to celebrate the end of the World Cup in Italy. Checking the pitch before one of their famous World Cup concerts. Press attention followed them wherever they went, but The Three Tenors were more than happy to hang out together. His enthusiasm on stage was always so palpable - here's Luciano Pavarotti soaking up the applause.